Few scholars have been as influential in finance and economics as University of Chicago professor Eugene F. Fama. Over the course of a brilliant and productive career, Fama has published more than one hundred papers, filled with diverse, highly innovative contributions. 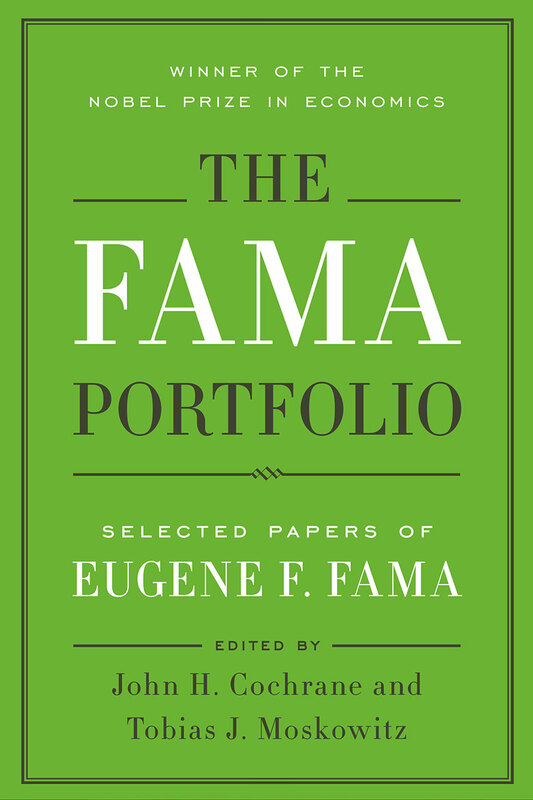 Published soon after the fiftieth anniversary of Fama’s appointment to the University of Chicago and his receipt of the Nobel Prize in Economics, The Fama Portfolio offers an authoritative compilation of Fama’s central papers. Many are classics, including his now-famous essay on efficient capital markets. Others, though less famous, are even better statements of the central ideas. Fama’s research considers key questions in finance, both as an academic field and an industry: How is information reflected in asset prices? What is the nature of risk that scares people away from larger returns? Does lots of buying and selling by active managers produce value for their clients? The Fama Portfolio provides for the first time a comprehensive collection of his work and includes introductions and commentary by the book’s editors, John H. Cochrane and Tobias Moskowitz, as well as by Fama’s colleagues, themselves top scholars and successful practitioners in finance. These essays emphasize how the ideas presented in Fama’s papers have influenced later thinking in financial economics, often for decades.